In December 1996 Sophie Toscan du Plantier was found murdered outside her County Cork holiday home, but thus far no one has been brought before an Irish court in connection with this crime. Although the gardaí (police) have a 'prime suspect' - Ian Bailey - so far they have been unable to produce enough evidence for the public prosecutor to charge him. Now, however, there's a good chance he will be brought before a court only it won't be an Irish court but a French one. France has requested Bailey's extradition in order to prosecute him there. Next month Ireland's Supreme Court will hear Bailey's appeal against his extradition. If he loses he will stand trial in France for a murder committed in Ireland. My detestation for the murderer, whether it's Bailey or someone else, and my sympathy for Toscan du Plantier's family does not change the fact that this is wrong, wrong, wrong. Toscan du Plantier's family have been tireless in their pursuit of justice for their wife/daughter/mother these past 15 years. During all this time they have also been graceful, but understandably their patience has been severely tested. They're very easy to root for in their campaign for justice. Bailey has twice been arrested and questioned by the gardaí about Toscan du Plantier's murder, but he has never been charged. Last year he was arrested for a third time when the French extradition request was received. At the time of the murder Bailey, originally from Manchester in England, was living in near Toscan du Plantier's holiday home and making a living as a freelance journalist. It wasn't long after the murder that a neighbor made a statement to the gardaí, which she later retracted, that she had seen Bailey in the area around Toscan du Plantier's house on the night of the murder. I don't know any of the people associated with this case. I don't know the town or whether the locals believe Bailey is the killer or not. I don't even know anyone from that area. I don't know why, but there's no uproar about this. What I do know is Toscan du Plantier's French citizenship is irrelevant. France's belief that it can investigate crimes against its citizens that happen outside France should also be irrelevant. There is no suggestion that Toscan du Plantier was targeted because she was French. There is not even a hint of any international consipracy behind the crime. This is not France's call. If I were found murdered outside my home I would not expect the American government to involve itself in the search for justice unless I was killed by al Qaeda or killed as part of some international criminal conspiracy or killed just for being American. Even at that, I wouldn't expect any trial to take place outside Ireland, unless my murder was part of some conspiracy born in America. Legally (but not culturally) France and Ireland are more tightly connected through the EU than are Ireland and the United States, but that doesn't alter the fact that France has no role in this case. If a Californian woman was killed in New Jersey and the chief suspect was from Connecticut, he would not be extradited to California to stand trial. 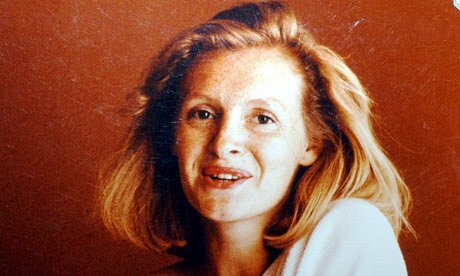 As the years pass the chances of any Irish court hearing a case connected with Toscan du Plantier's murder grow more and more remote. Toscan du Plantier's family is frustrated. They want someone brought before a court, tried and convicted. I'm sure they're frustrated with the way our legal system works and they could easily be of the opinion that the gardaí are not very good at policing. And they might be right. This case does seem to be an indictment of Ireland's policing and judicial systems. If it is, then we have to fix those problems and not paper over them by exporting our most high-profile failures. How many other victims are not getting the justice they deserve and will never get because they're not French? There is no justification for extraditing Bailey to France to face French justice. Toscan du Plantier's murder was an Irish crime. It demands Irish justice.